Darryl Lenox is one of my favourite comedians, and while his routines are hilarious, I respect the intellectual weight he brings to his work that arises from his education, his socio-political perspective, and his international experience.For twelve years we got to claim him as an African-Canadian, but he’s originally from the US and to the US he has returned. 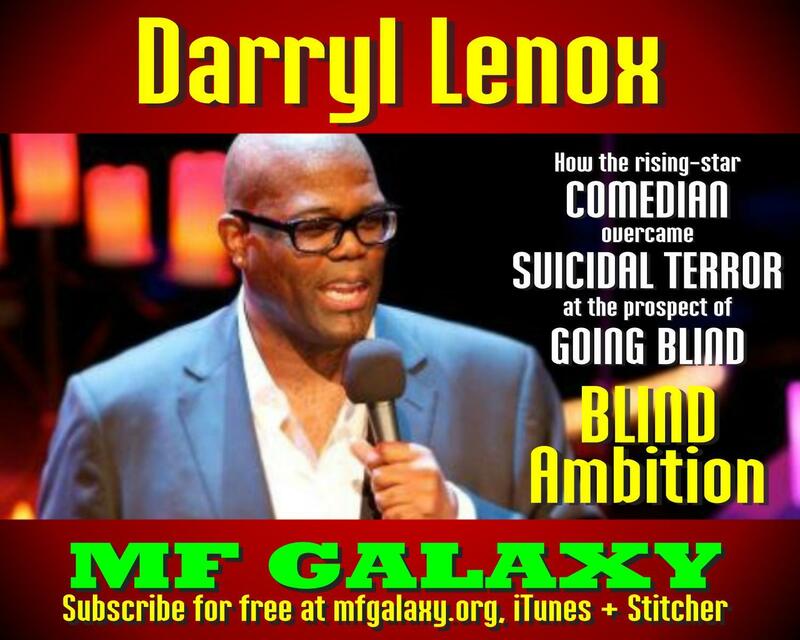 He’s spent 15 years touring and headlining comedy clubs, researching human behaviour and calibrating his comedic lasers.But no matter where Darryl Lenox goes, he’s hilarious. He’s had his own hour-long special on Starz Network called Blind Ambition, a reference to his own serious eye problems that led him to work with the Third World Eye Care Society that provides eye exams and donated eye glasses to people in developing countries.In addition to appearing on the Conan O’Brien Show, A&E's Evening at the Improv, BET's Comic View, The Best of Just For Laughs Comedy Festival New Year's Eve Special, and Comedy Central Jamie Foxx's Laffa Polooza, Lenox has performed at the HBO Comedy Arts Festival and the comedy festivals of Boston, Chicago, and Vancouver, and won the Seattle Comedy Competition and Best New Play at Vancouver Fringe Festival.